You know what’s good? Food. You know what makes food better? Flavor. Imparting such upon our edibles has never been easier. Not only are recipes galore only a click or two away, but spices from every corner of the globe can be found either online or in everyday brick-and-mortar stores which have well-stocked shelves to accommodate humanity’s growing palate. But of course, you are gonna need a place to store all those spices. 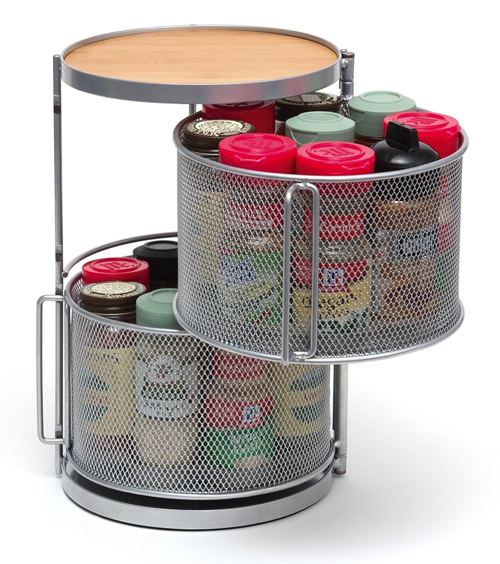 The Lipper Spice Rack Tower is a two-tier spice rack that opens and closes for easy storage. 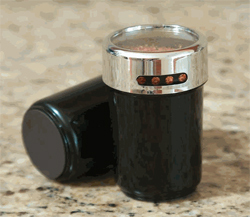 The spice rack holds eighteen bottles and has a flat bamboo top that can accommodate odd-shaped spice bottles of any size — or odd-shaped pictures, stickers and stamps of spices until that internet order comes in.